It is our intent that this site be a networking site for Church of the Lutheran Confession members. The information on this site is provided by CLC members for the benefit of CLC members. If you are a member of the CLC and have information you believe would be of value to other CLC members or if you have ideas for this web site, please let us know. Please our contact form with any additions to this site. 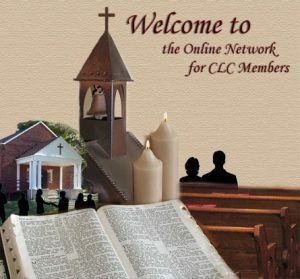 CLClutheran.net is published under the auspices of the CLC Web Master and the Board of Education and Publications of the Church of the Lutheran Confession. We pray that it continue to be a useful tool for providing support to CLC members. Please note that not all content necessarily represents the official position of the CLC. If you have any questions regarding the content of this site, please contact the Board of Education and Publications of the CLC by using our contact form.